Pot bellied Chuppa (22cm) makes you want to pinch her cheeks all the time. 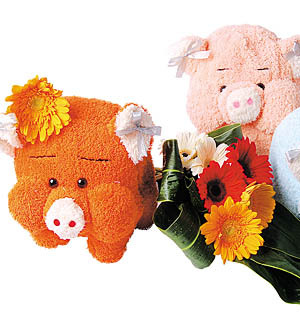 Send ‘cheeky’ wishes with this cutesy, shaggy plushie from Mooktail and a bouquet of Gerberas. Available in tangy orange, peach and petticoat blue.